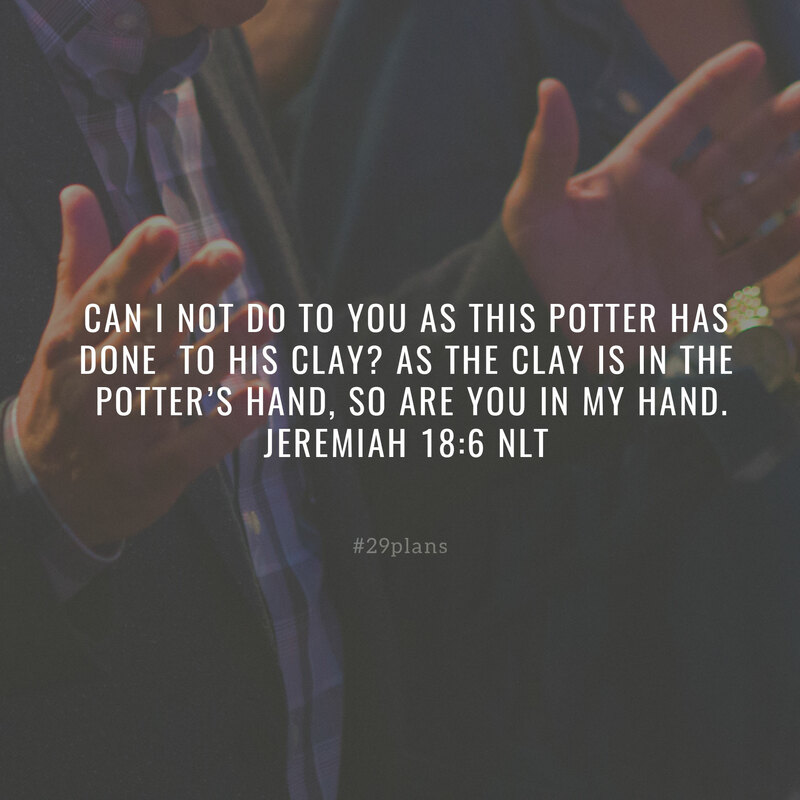 Guide: Read Jeremiah 18, 19; Listen to Hands of the Potter by @caedmonscall; Pray for the lost; Is your life in God’s hands? 1 This is what the Lord said to me: “Go and buy a clay jar. Then ask some of the leaders of the people and of the priests to follow you. 2 Go out through the Gate of Broken Pots to the garbage dump in the valley of Ben-Hinnom, and give them this message. 3 Say to them, ‘Listen to this message from the Lord, you kings of Judah and citizens of Jerusalem! This is what the Lord of Heaven’s Armies, the God of Israel, says: I will bring a terrible disaster on this place, and the ears of those who hear about it will ring! 4 “‘For Israel has forsaken me and turned this valley into a place of wickedness. The people burn incense to foreign gods—idols never before acknowledged by this generation, by their ancestors, or by the kings of Judah. And they have filled this place with the blood of innocent children. 5 They have built pagan shrines to Baal, and there they burn their sons as sacrifices to Baal. I have never commanded such a horrible deed; it never even crossed my mind to command such a thing! 6 So beware, for the time is coming, says the Lord, when this garbage dump will no longer be called Topheth or the valley of Ben-Hinnom, but the Valley of Slaughter.